This will be the first meeting between the top leaders of the world's two most powerful economies. BEIJING: US President Donald Trump will host his Chinese counterpart Xi Jinping at his Mar-a-Lago residence in Florida next week, the first meeting between the two leaders amid serious differences over trade, North Korea and the South China Sea dispute. 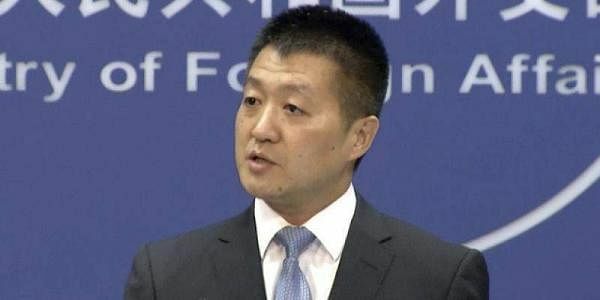 "Xi will meet Trump at Mar-a-lago, Florida from April 6 to 7," Chinese Foreign Ministry spokesman Lu Kang announced at a daily press briefing in Beijing today. This will be the first meeting between the top leaders of the world's two most powerful economies. The two leaders had spoken by phone on February 9 during which Trump had told Xi that he would honour the 'One China' policy on Taiwan. "China-US share trade and economic linkages which are highly complementary," Lu said. "China hopes to make joint efforts with the United States to expand trade cooperation, properly settle trade frictions through dialogues and maintain healthy and stable growth of trade and economic ties," he said. In Washington, the White House confirmed the dates of the meeting and said, "the two leaders will discuss global, regional, and bilateral issues of mutual concern." In a statement, White House Press Secretary Sean Spicer said Trump and the First Lady will also host President Xi and his wife Peng Liyuan at a dinner on April 6. A host of contentious issues in bilateral relations, including Trump's claims about China's unfair trade practices, currency manipulation, curbing North Korea's nuclear ambitions and American concerns about Chinese military manoeuvres in the disputed South China Sea are expected to be discussed between the two leaders. China-US trade in goods amounted to USD 519.6 billion in 2016. China has large share in the bilateral trade with its exports to the US amounting to over USD 400 billion. The meeting will follow a recent trip to China by US Secretary of State Rex Tillerson. Ahead of the summit with Trump, Xi will visit Finland and hold talks with his counterpart Sauli Niinisto, Lu said.